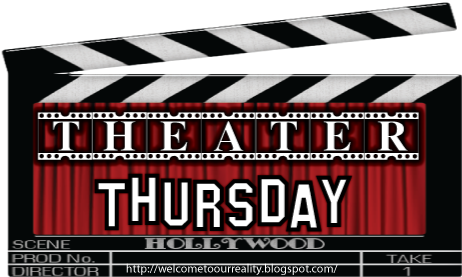 It's Thursday and that can only mean one thing... it's Theater Thursday. This week's featured movie is, End of Watch. 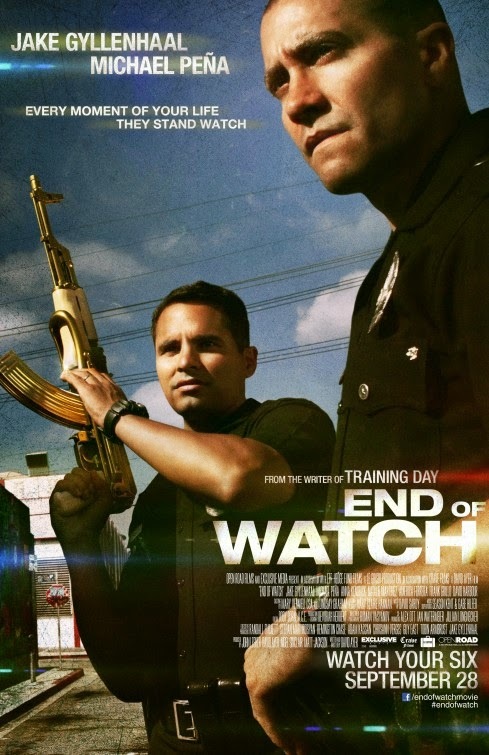 End of Watch follows two Los Angeles, California police officers who work Patrol. Brian (Jake Gyllenhaal) and Mike (Michael Pena) went through the police academy together and have been partners now for 3 years. These two guys are not just partners they are friends. When Brian takes a college class that requires him to shoot his daily job he starts filming his days of patrol. These two officers stumble into a whole world of drug running, human trafficking and something bigger than them or the L.A. Police Department. These two officers experience the ups and downs of being police officers in one of the largest cities in the world. They share their personal lives with each other which has made their bond a strong one. However, facing things that are unknown to them they'll have to face one of the hardest things you can ever face. Will their bond remain strong? Will they both be able to keep up with the daily grind? Watch and find out. I forgot all about this movie! I actually won passes to go see the film. It was disturbing, but really good!